LeBron James has more power than anyone else in the NBA. We saw it when he went to Miami and doubled the value of the franchise. We saw it this summer, when he single-handedly halted free agency until he was good and ready to announce which team he wanted to play for. We saw it when he convinced Kevin Love to come to Cleveland. We saw it when he signed an unusual contract that gives him an unmatched degree of leverage. And now we’re seeing it in the way he has positioned himself as the player/teacher/mentor/coach of the Cavaliers. The dynamic between LeBron and David Blatt is like nothing else in the NBA. Adrian Wojnarowski of Yahoo described it as a “partnership” where both are responsible for the direction of the team. LeBron occupies a space between a player and a coach right now. In his column, Wojnarowski said it felt like Blatt and LeBron were “co-coaches” on the sidelines on Wednesday night against the Spurs. LeBron’s body language during huddles is hardly the only sign of his unique new role. That came a few days after he told ESPN that he views the rest of the Cavs as his “kids,” and he has to teach them how to read a textbook. With these quotes LeBron is placing himself above his teammates. He’s creating a distance between himself and the other guys, clarifying their relationship as that of a father and son, or a coach and a player, rather than a player and a player. There is the team, and then there is LeBron. 2. Early in the season LeBron only took 12 shots and looked disinterested in a loss to the Portland Trail Blazers. While some speculated that he was hurt, Brian Windhorst of ESPN reported the real reason — LeBron was intentionally letting his teammates fail in order to teach them a lesson. By refusing to come to the rescue, LeBron was showing his team why they needed to buy into the principles of defence and ball movement that he was preaching. The important takeaway here isn’t that LeBron was right or wrong, it’s that he felt it was within his scope of responsibilities to do this sort of thing. After that Portland game Blatt said he was “not ok” with LeBron only taking 12 shots. A few days later he introduced a new “food chain” to his team — where LeBron and Kevin Love would get shots first, followed by Kyrie Irving and the rest of the team. 3. LeBron and Blatt aren’t feuding or anything, but they have had little public disagreements over the first few weeks of the season. Blatt held a rah-rah meeting after the opening-night loss to the Knicks where he ripped his team. 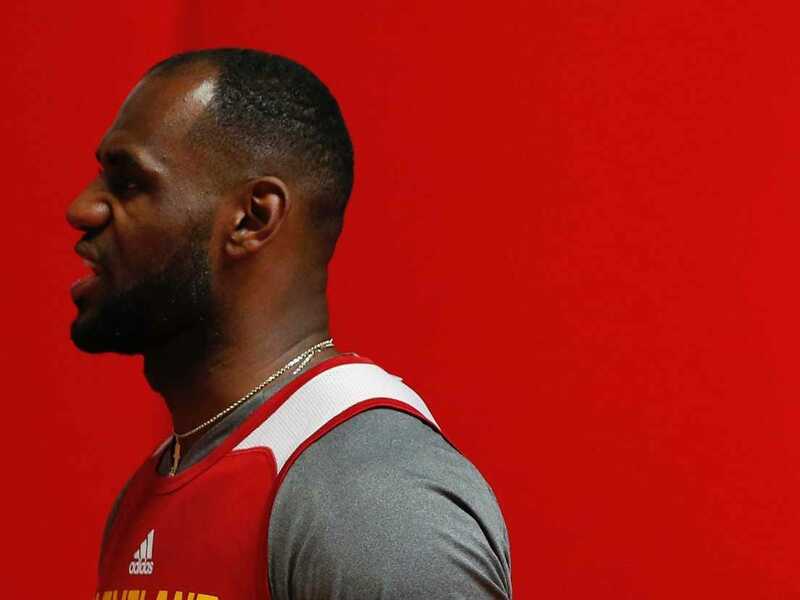 LeBron came out a few days later and said he doesn’t really believe in pep talks. Right before Blatt was about to start the team’s first practice, LeBron called a players-only meeting where he went around and told each guy what he expected of him. LeBron said he needs to play fewer minutes. LeBron has gone to great lengths to be viewed as a leader this year. Early in the season he has taken that to the extreme. He’s talking and acting like a coach, and there’s no reason to believe he’ll stop. The question now is whether he and Blatt can learn to co-exist.